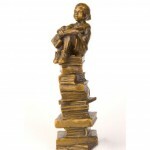 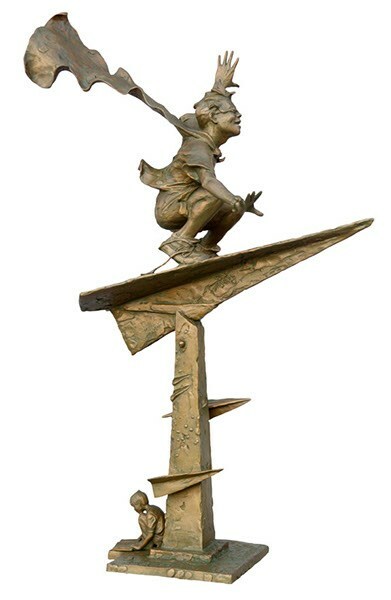 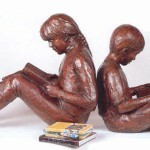 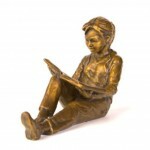 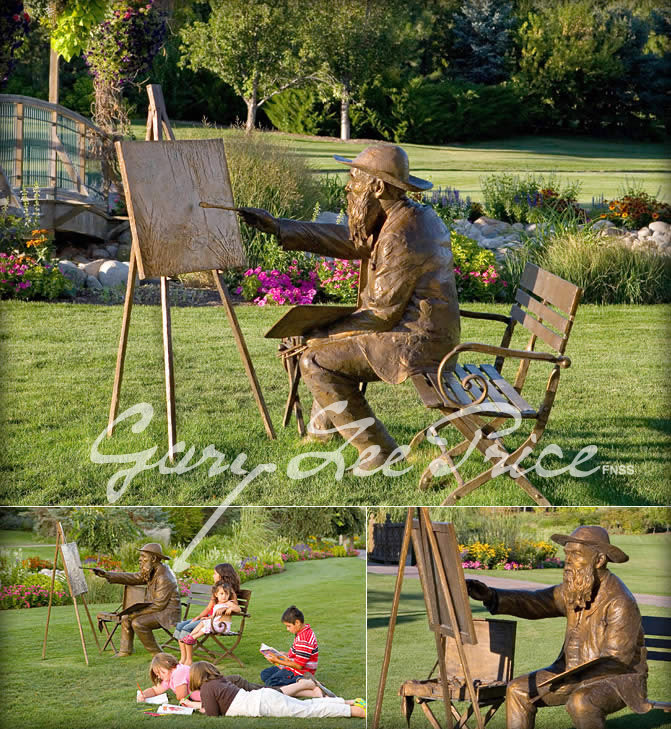 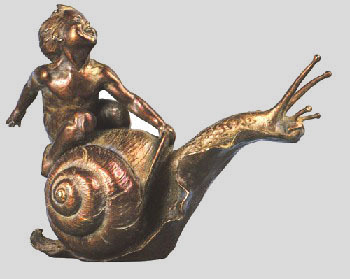 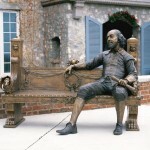 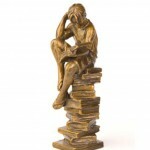 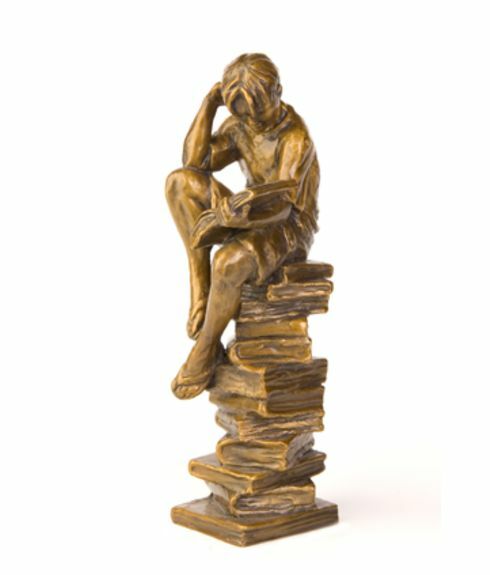 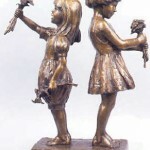 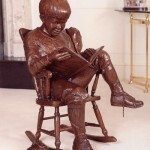 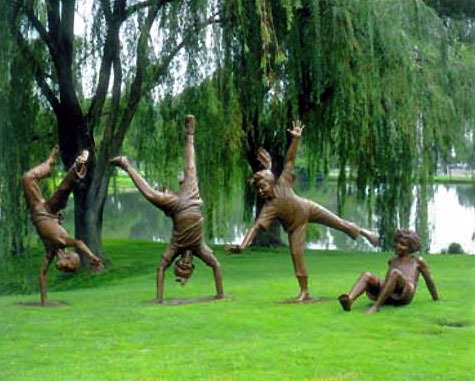 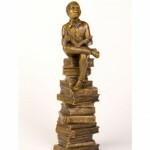 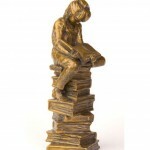 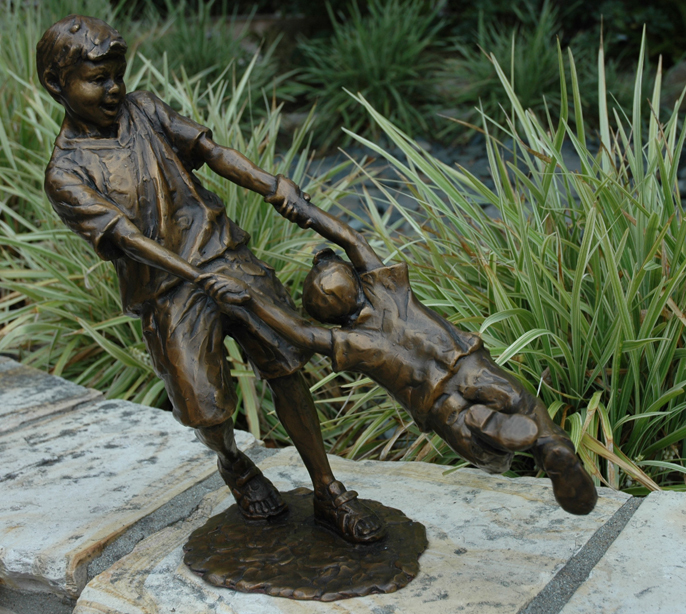 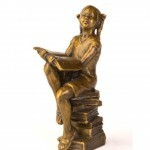 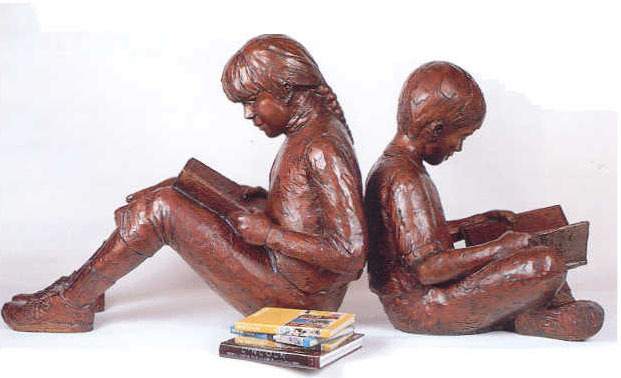 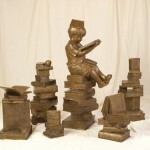 Thousands of Gary Lee Price sculptures are in public and private collections throughout the world. 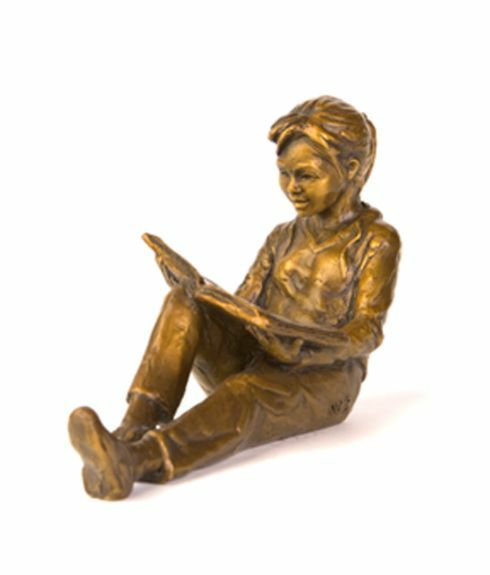 One of the largest libraries on the planet, the Hong Kong Central Library, is graced by twelve Gary Lee Price life-size bronze sculptures. 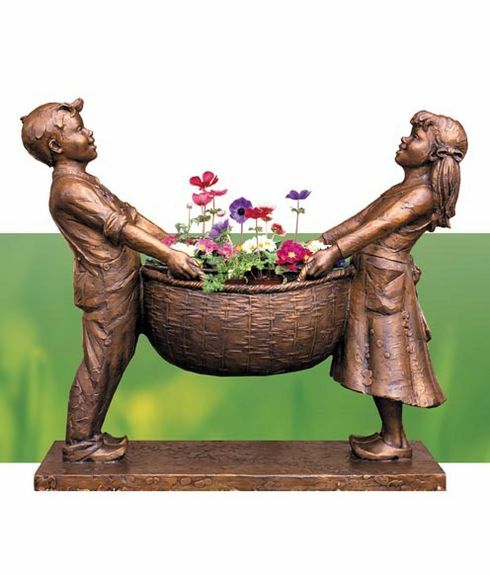 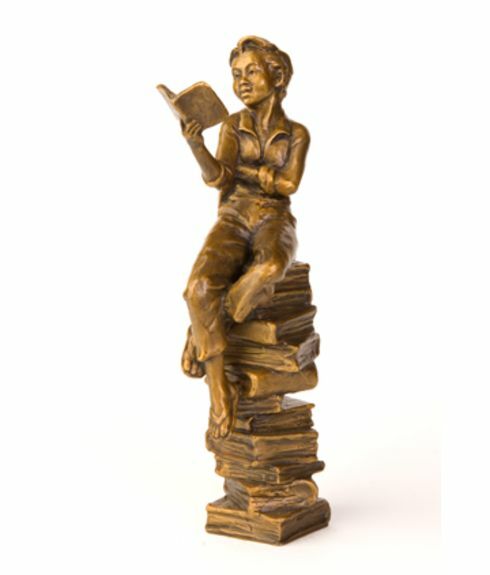 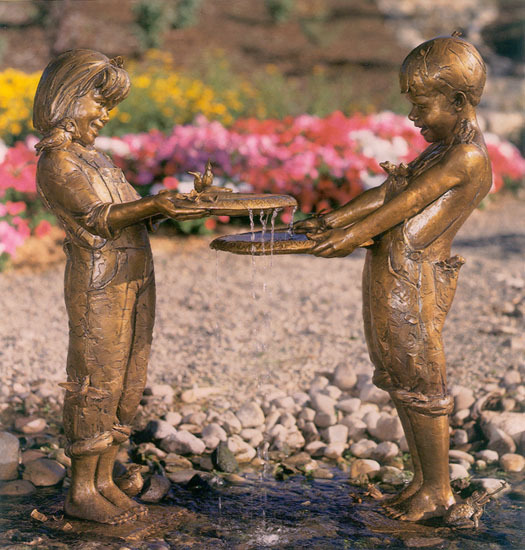 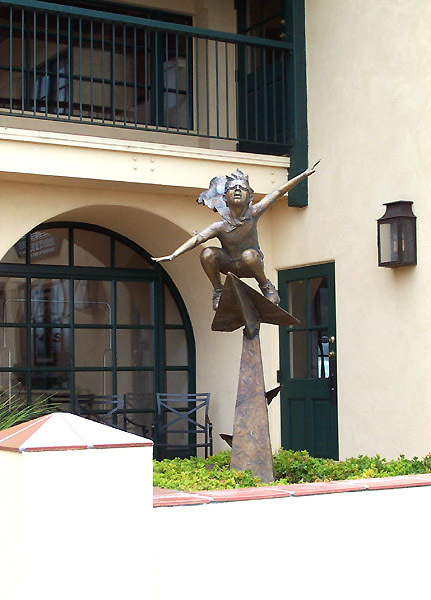 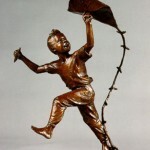 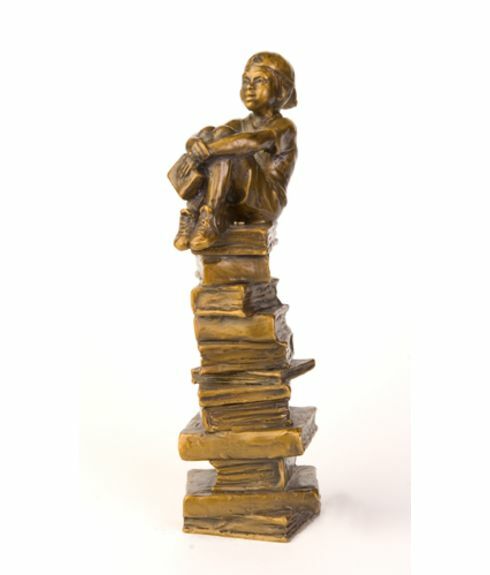 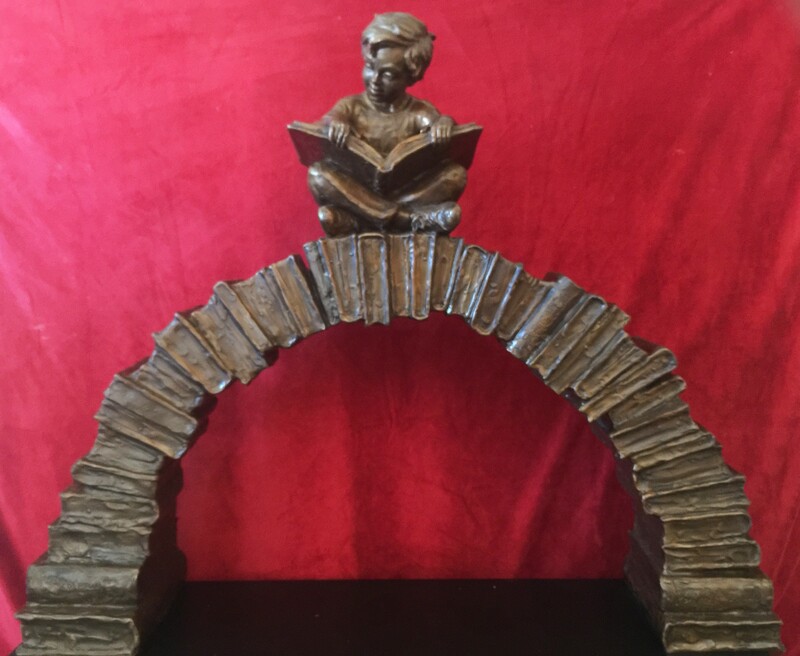 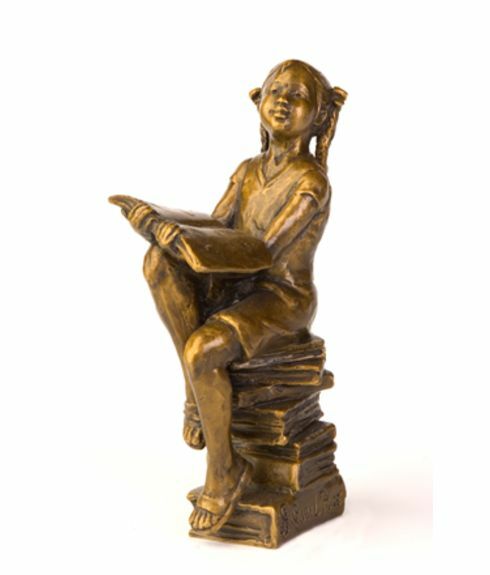 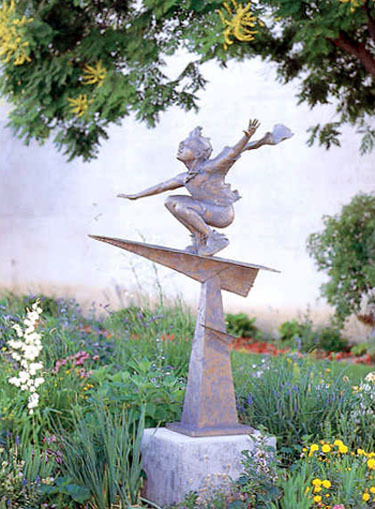 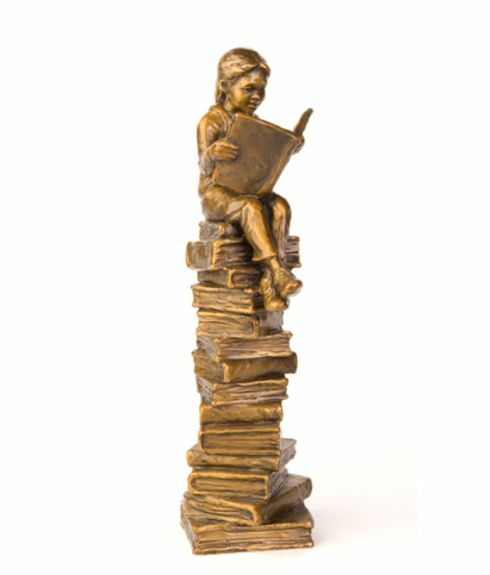 This impressive display includes bronzes of intrigued young readers, happy children releasing doves, boys and girls playing with shells in water, some holding beautiful flowers, and others soaring through the air as though weightless. 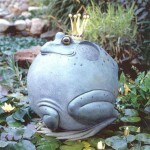 Additionally, two round frogs, “Puffed-Up Princes,” are stationed as sentinels at the entrance of the children’s library. 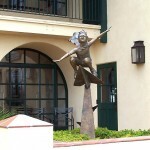 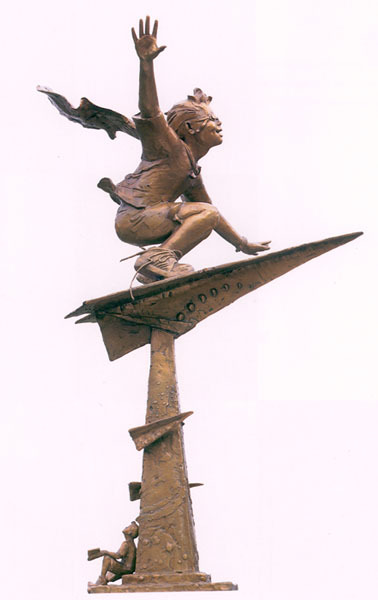 The 11-foot “Celebration!” featuring joyous children celebrating life and soaring around a globe, was first unveiled in Surrey, England at the American Community Schools. 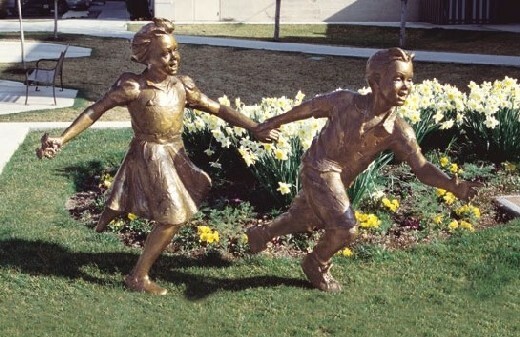 The most recent of these was dedicated in Decatur, Georgia by former First Lady, Rosalyn Carter. 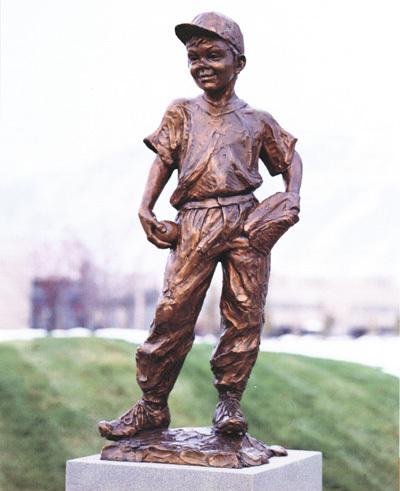 A 22-foot version of a similar sculpture is located at the entrance of the corporate headquarters for NuSkin International in Provo, Utah. 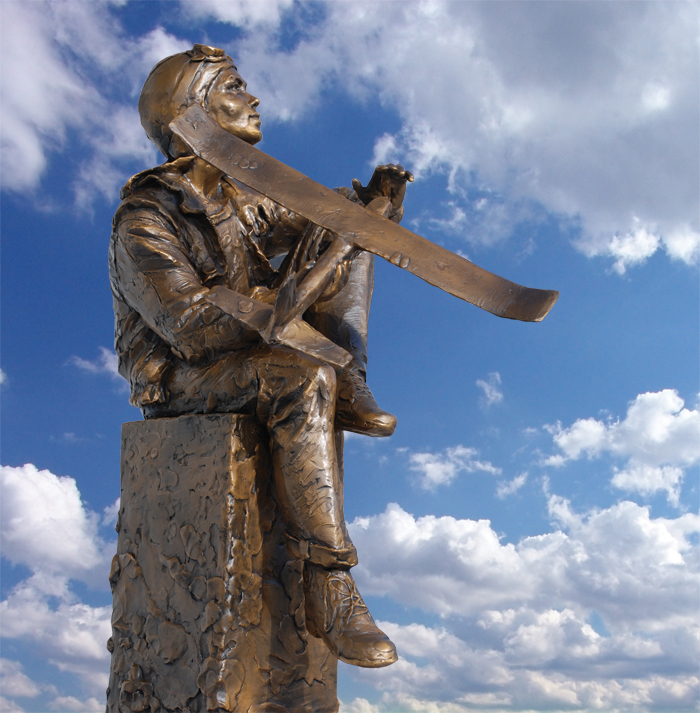 His 12-foot angel, “Messenger” monument, in Iceland, honors over 400 early immigrants to the United States. 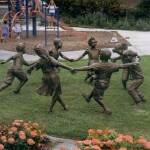 Gary’s sculpture “Communion,” a 15-foot monument portraying touching hands, graces the United Methodist Church of Brentwood, Tennessee. 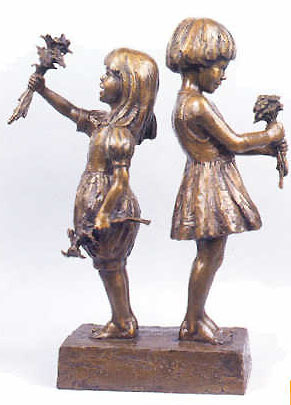 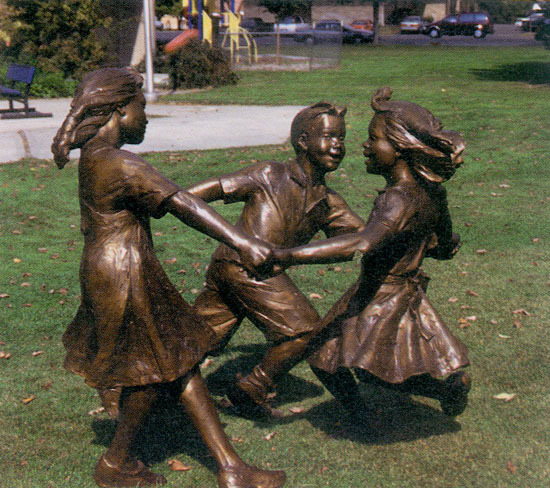 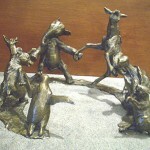 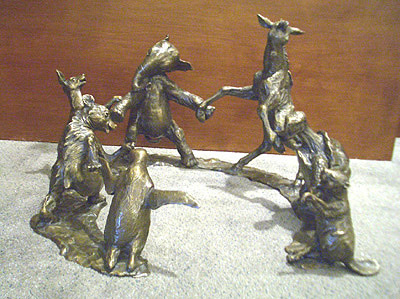 The interaction-of-hands theme has been an important aspect of his work as reflected in other pieces such as “Synergy,” Helping Hand,” “Ascent,” “Circle of Peace,” and “Circle of Friends.” Uplifting others, helping others, and joining hands with others in brotherhood and sisterhood are essential parts of the life of Gary Lee Price. 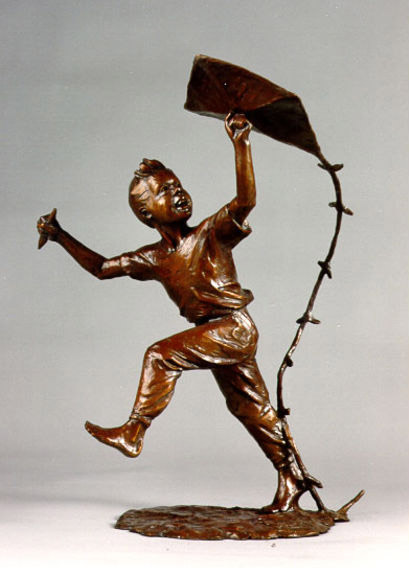 Perhaps the unexpected and tragic loss of his parents at age six and the subsequent abuse anchored within him the importance of enduring and positive relationships, and of the need to see and depict humanity in a positive light and on an upward journey. 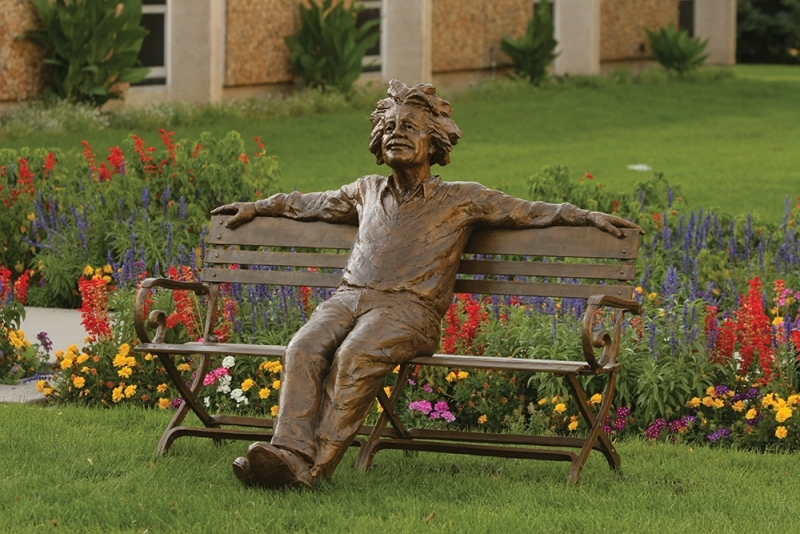 Gary Lee Price finds travel and research an important part of his life. 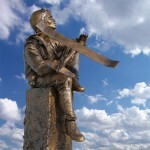 For two years he lived in Germany, he spent six months in Israel, one month touring the jungles and ruins of Mexico and Guatemala, and one month in Egypt. 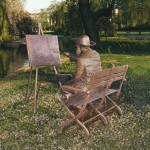 He visited eleven different European countries for three months. 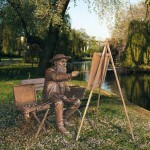 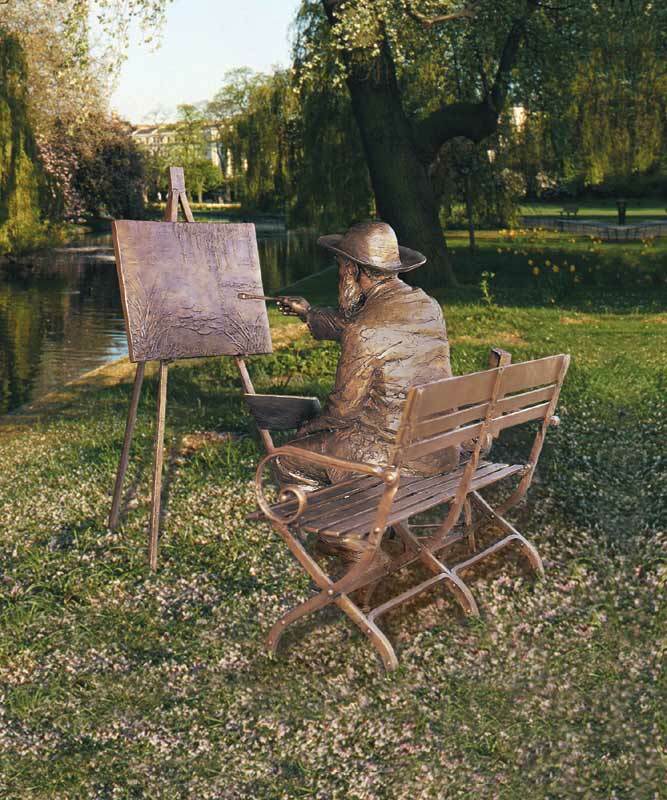 Another trip found Gary and his family in Giverny, France doing research on one of his life-size sculptures of Claude Monet and “Monet’s Gaggle”. 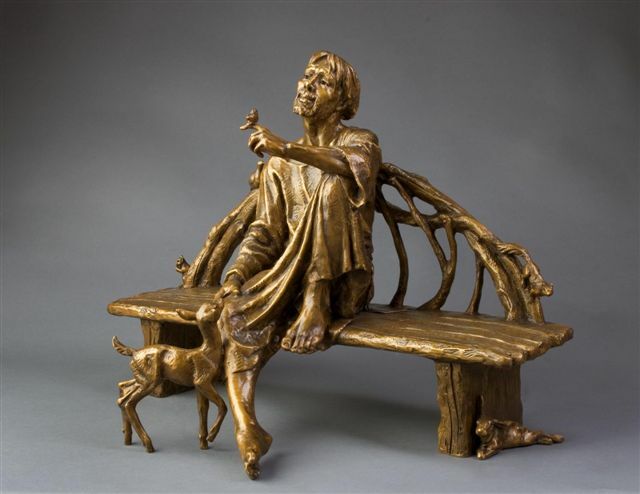 Gary formalized his education by graduating from the University of Utah in 1981 with a BFA in painting and drawing, under the noted professor and portrait painter Alvin Gittins. 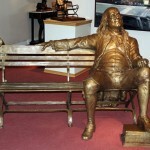 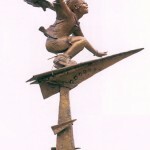 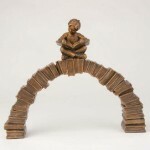 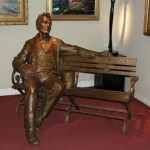 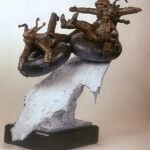 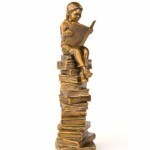 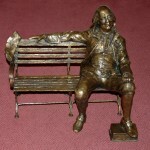 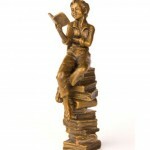 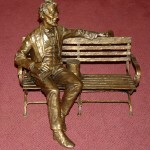 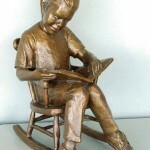 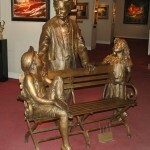 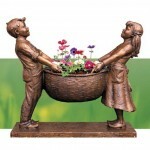 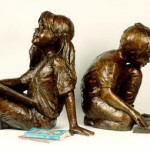 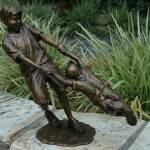 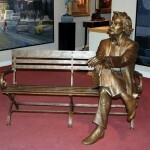 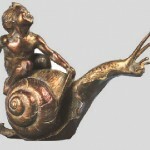 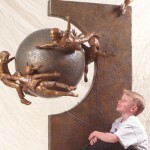 He has also taken many workshops with some of the finest contemporary sculptors of our time. 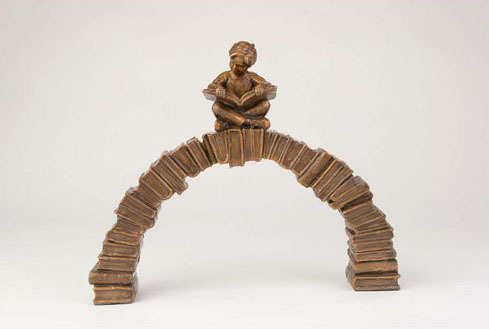 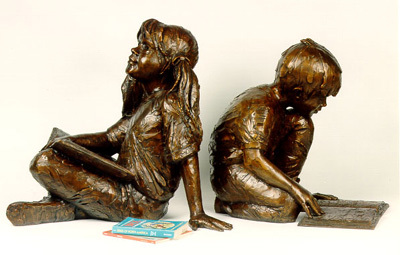 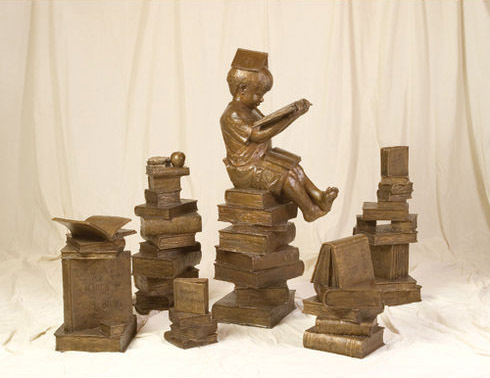 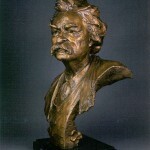 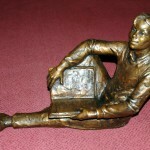 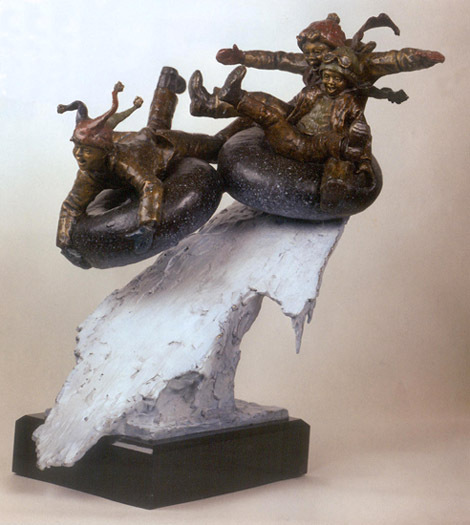 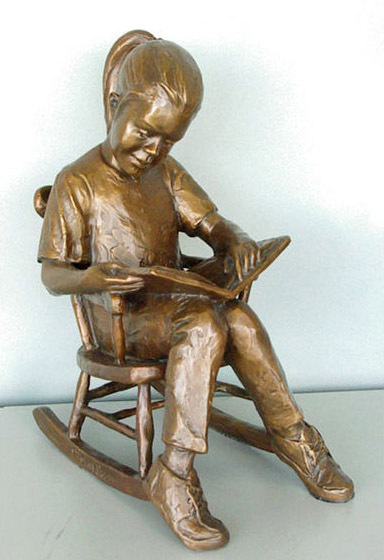 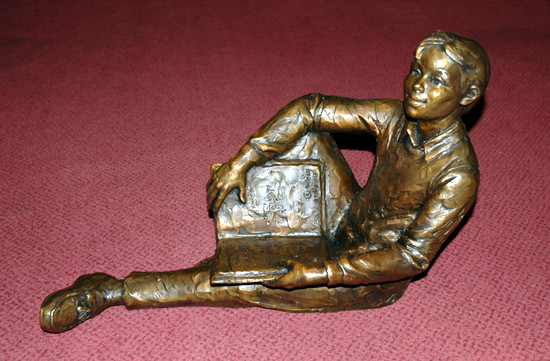 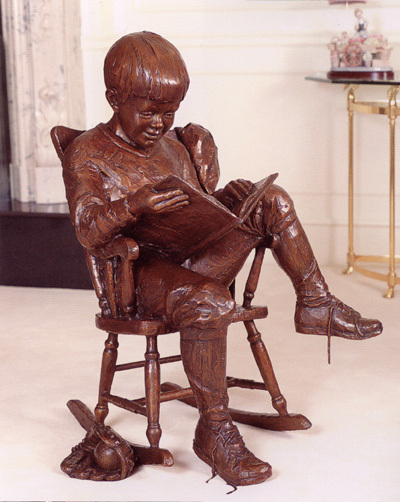 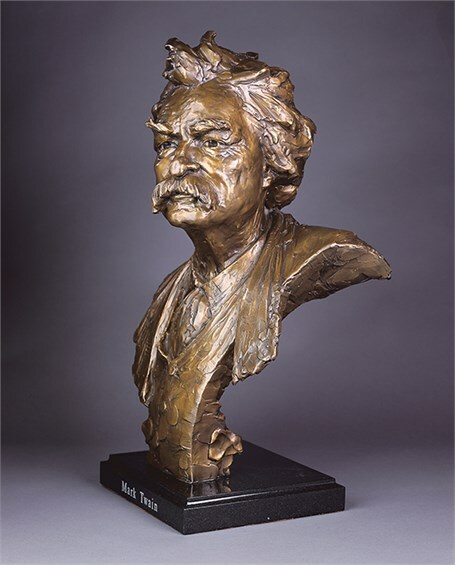 In 1991, Gary Lee Price was elected a member of the National Sculpture Society. 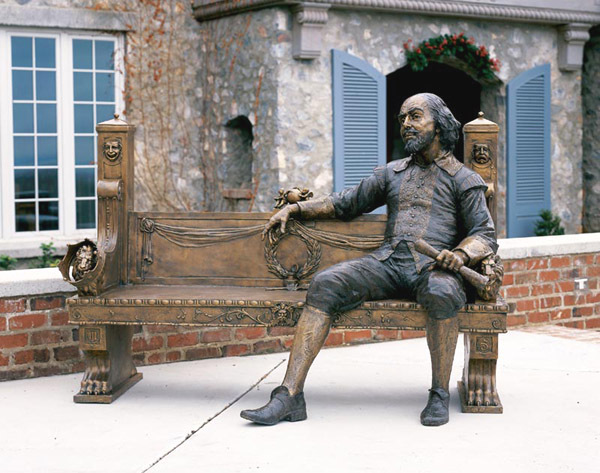 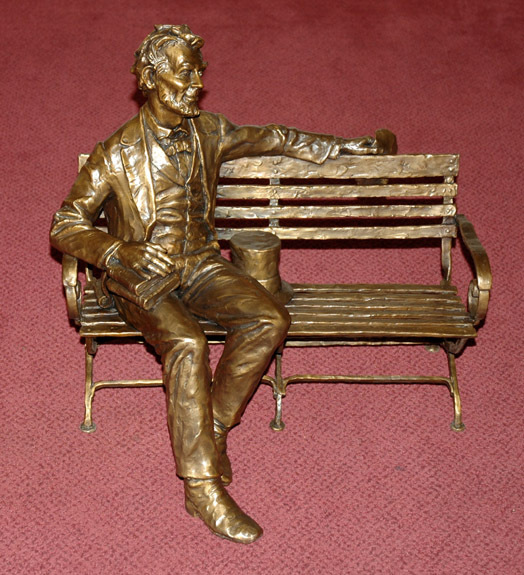 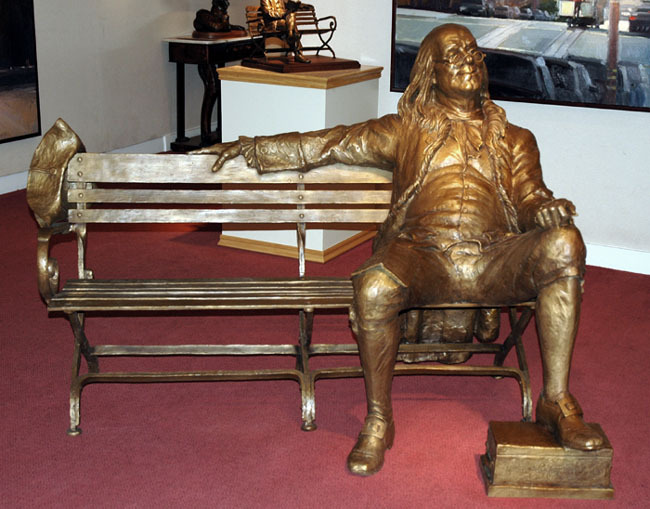 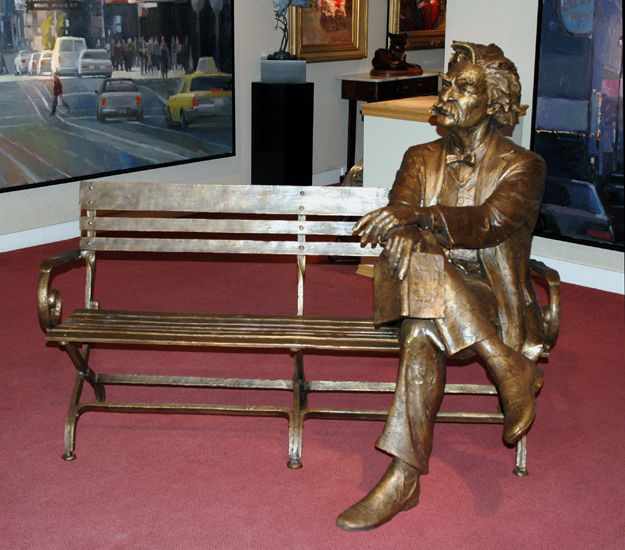 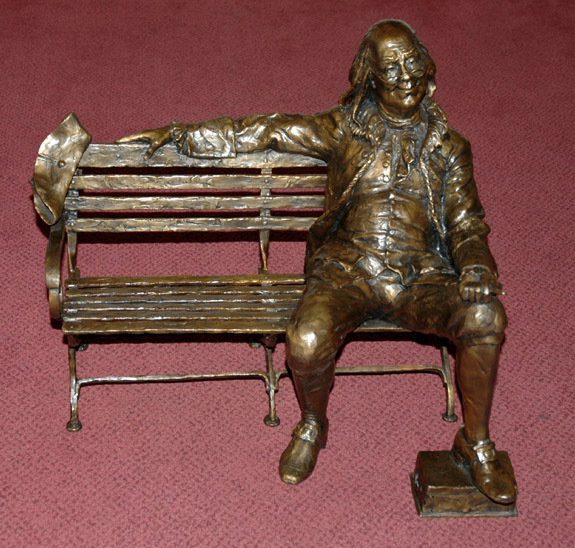 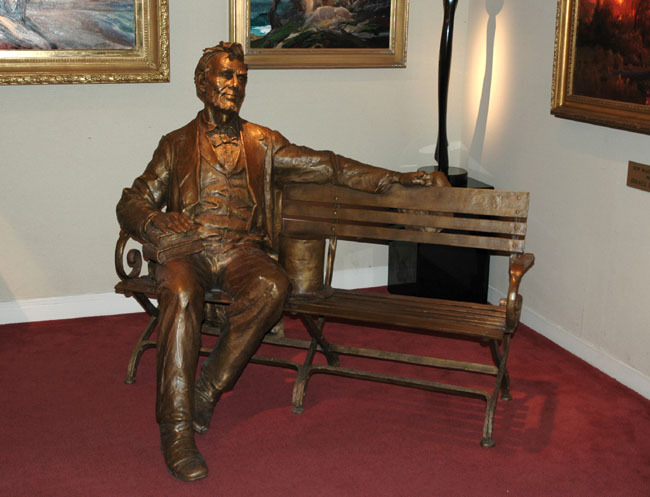 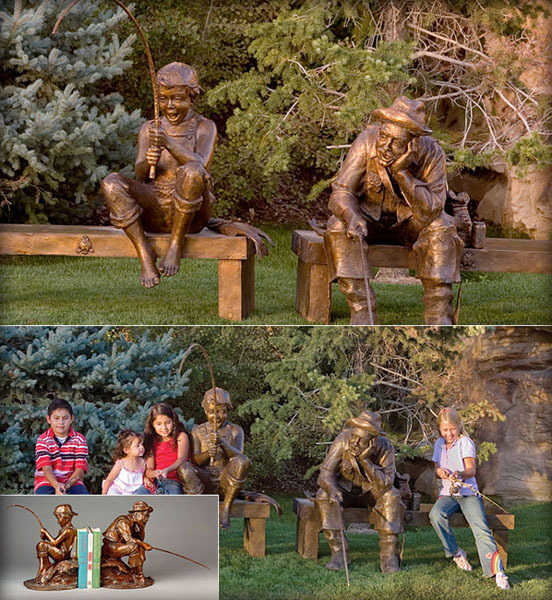 In November 2001, he received the “Governor’s Mansion Artist Award,” from Governor Michael Leavitt of Utah, for his outstanding support of the arts. 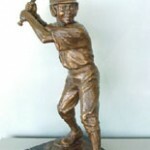 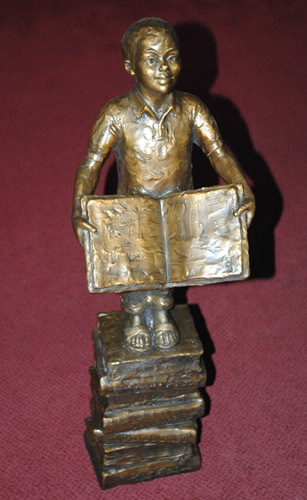 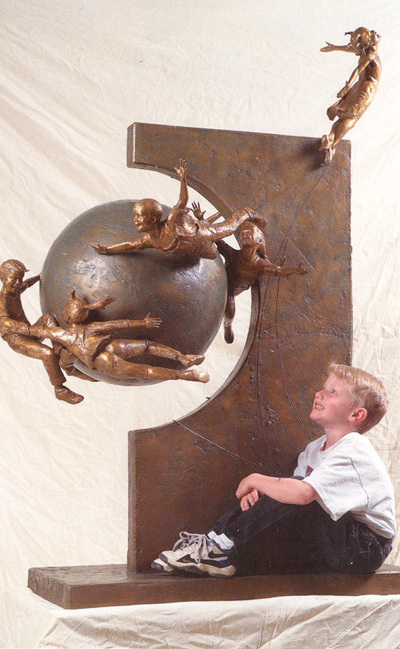 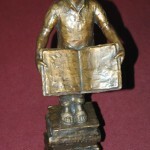 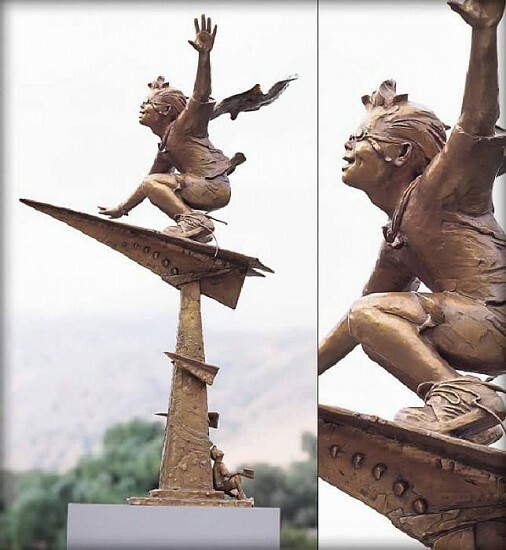 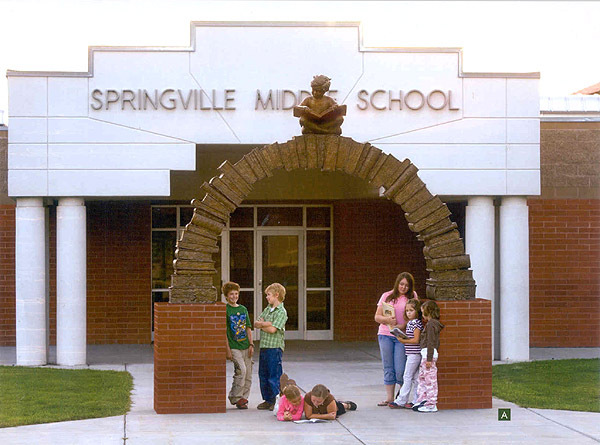 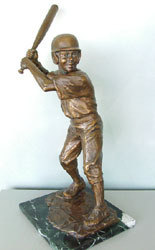 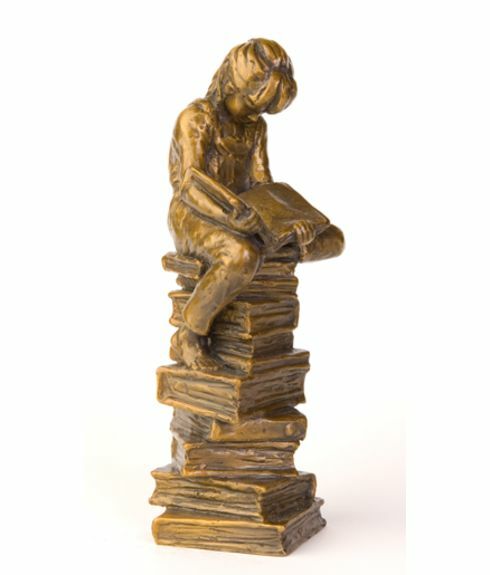 Aside from his sculpture images gracing the covers of various magazines and books, the December 2003 issue of Utah Valley Magazine featured a cover story on Gary and his career entitled, “The Spirit of Giving.” In 2005, it was announced that this prolific sculptor has been selected to create the 300-foot Statue of Responsibility. 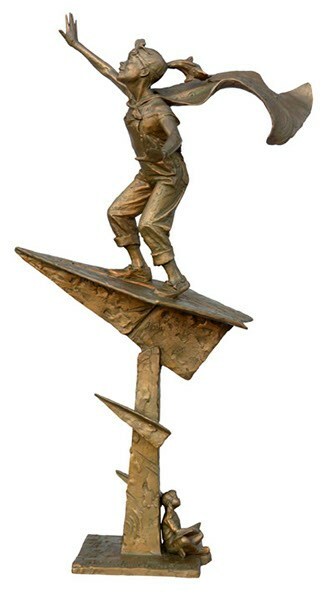 It will fulfill Viktor Frankl’s vision in his book, “Mans Search for Meaning” to bookend the Statue of Liberty with a Statue of Responsibility on the West Coast. 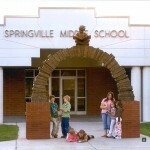 This history making project is currently underway. 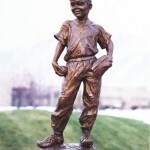 In, 2010 the Utah Legislature passed a recurring bill recognizing Utah as “The Birthplace of the Statue of Responsibility”. 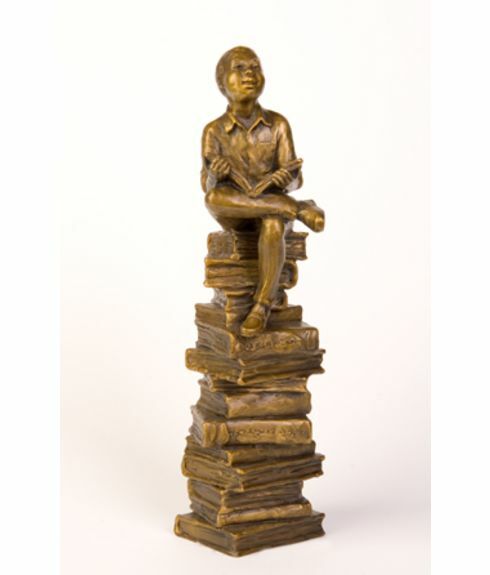 In 2014 Gary was elected to ‘Fellow’ status of the NSS by his peers on the basis of not only the quality of his work, but his contributions to the art world in general, including education. 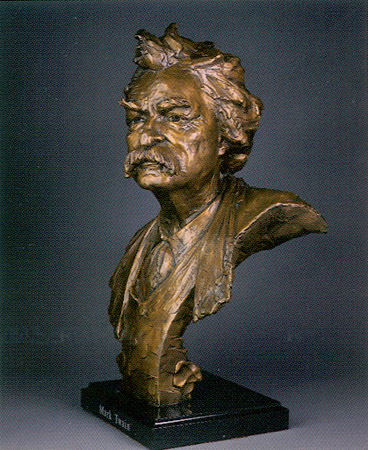 Price’s works are included in public and private collections in homes, galleries, museums, libraries, corporations, cities, and educational institutions throughout the world, including the following: Springville Museum of Art; Salt Lake County Permanent Arts Collection; Culver Military Academy of Culver, Indiana; American Community Schools of Surry, England; Westside Preparatory School of Chicago; LDS Museum of Church History & Art of Salt Lake City, Utah; Rich De Voss Women’s and Children’s Hospital of Grand Rapids, Michigan; Dallas Arboretum; Birmingham Botanical Gardens; Scottish Rite Children’s Hospital of Dallas, Texas; Gladney Center of Fort Worth; Galleria Paseo Mall of Puerto Rico; Santa Clara City Library ; Bluegrass Airport of Lexington, Kentucky; Neverland Ranch of Los Olivios, California; University of California Berkeley; Cessna Aircraft of Wichita, Kansas; Indianapolis Children’s Museum; NuSkin International Headquarters in Provo, Utah; and many more places of private and public gatherings. 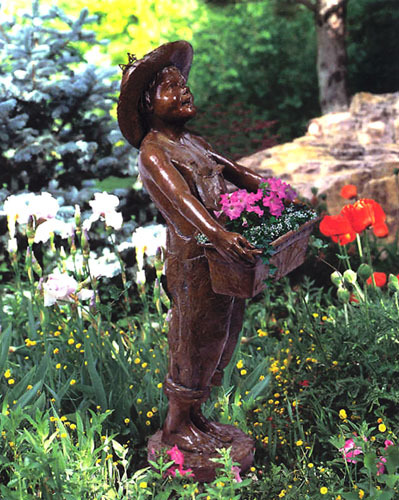 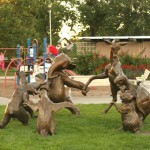 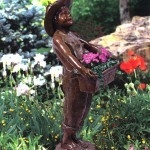 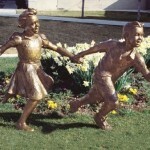 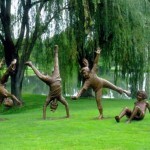 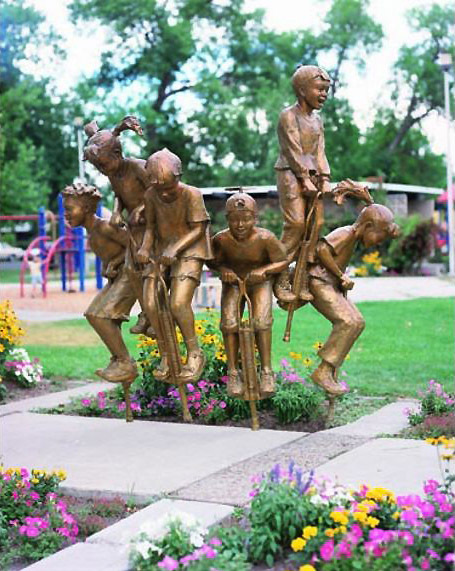 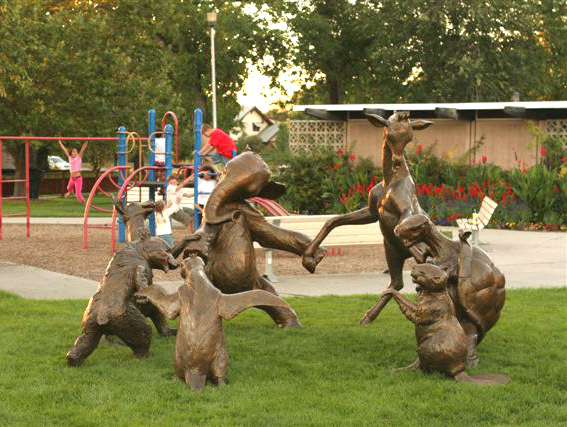 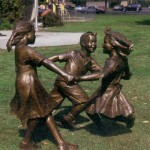 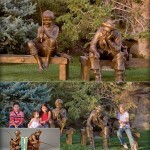 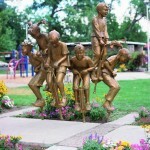 The 61-year-old sculptor resides in Mapleton, Utah with his wife Leesa Clark-Price. 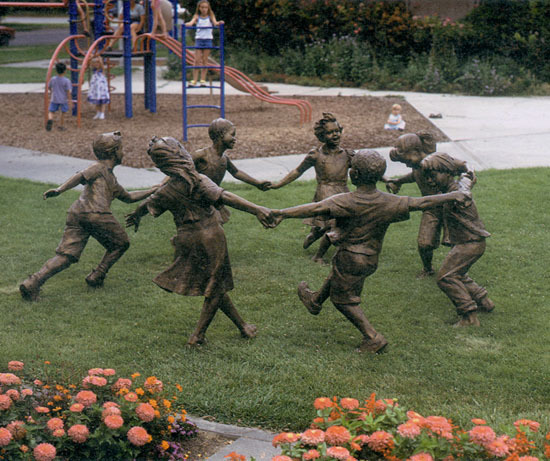 Together they have 9 children and 12 grandchildren. 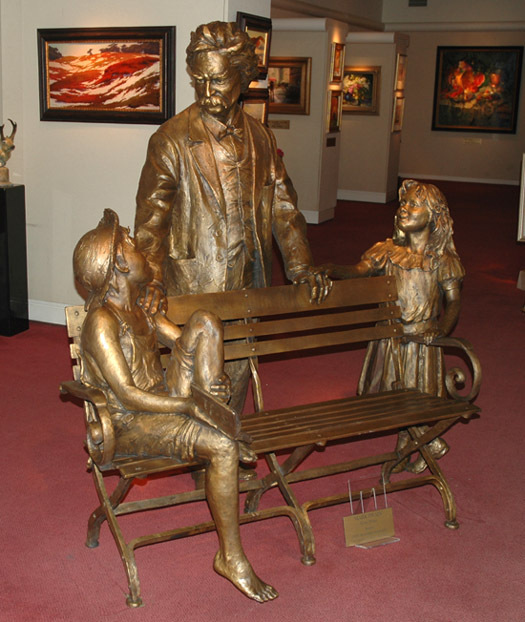 He credits his success to his mother, who instilled in Gary the ability to express himself through art; and to his children who provide constant inspiration. 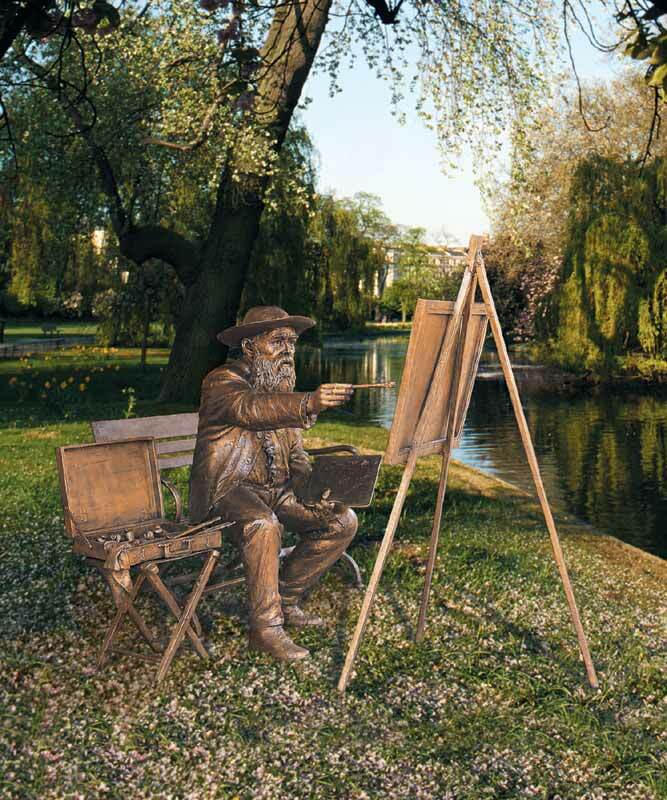 “My passion for art and my belief that art empowers and lifts the human spirit has only grown stronger throughout my life. 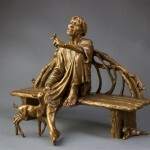 I have been blessed with many generous and selfless mentors, and my dream is to pass on those gifts to others. 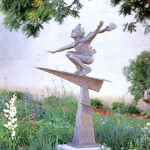 Gary believes in ‘perpetual student-hood’ and teaches regularly at his studio and other venues.